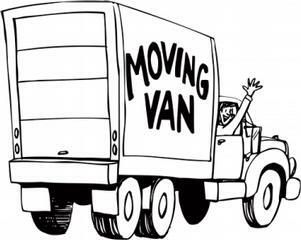 The movers slammed the heavy doors together and walked around to the front of the van. I watched from my third-floor apartment window as they climbed up into the cab. Then I started toward the front door. It was June 1995, eight months before I would open my bed and breakfast. My furniture was in the moving van, and I was packed and ready to leave Chicago. Glancing back into the apartment, I could hear the faint squeals of my three-year-old grandson as though he were there. The sounds drifted down the hallway and past the empty bookcase where the stereo used to be. It still sat against one wall, too heavy and too large to take to Louisville. In the dim light, my imagination conjured up images of the two of us twirling and laughing, (mesmerized by the music) as we danced to his favorite nursery rhyme. E-I-E-I-O echoed through the quiet of the morning. I loved this place, and I hated leaving Chicago, and this apartment. Large windows covered two walls in the living room, letting in warm sunlight that brightened the hardwood floors. As (I walked toward the front of the house again) the early-morning sun moved upward in the sky (and) fell across my shoulders. It made its way to the opposite wall, where my white sofa had sat only an hour before. In front of it, red, green, yellow, and black blocks of color were embedded in the Kilim carpet I’d purchased in Egypt. The room had been an eclectic mix of modern art and artifacts. Now—without furnishings, without modern art, without artifacts—it seemed so much smaller. I wasn’t afraid of new experiences, or going it alone. But . . . what if I hated Kentucky? What if I never saw the few friends I had again? I’d lived in Chicago for over thirty years. It was my home. I loved the lake, the incredible restaurants, and all the culture the city had to offer. But I knew I couldn’t afford to live there on my teacher‘s pension, with very little savings and nothing to fall back on. I’d thought about it over and over for the last year while teaching at the University. There was no way around it. I had to find a cheaper place to live. At least I could make a little money as an innkeeper. But the thought of going into business made me really nervous. Not because I didn’t think I could do it—I thought I could do anything I set my mind to—but because being in business had never appealed to me. It sounded boring as hell. And I didn’t like focusing on money or numbers; I considered myself more of an artist type. I liked to create things: music, art, drama, gourmet food. I’d even taught dance for a while at one point. I’d always said, “I will never go into business." But a bed and breakfast was most definitely a business. And on top of that, there would be a constant train of people in and out of my home whenever they booked a room. What was I thinking? I would have to talk to them. I hated chatting. The thought of talking about the weather made me shudder. I’d much rather discuss why Chopin’s etudes contained such broad arpeggiated chords.